One of the (many) good sides of having an Android phone or tablet is being able to customize it using custom ROMs or launchers. However, if you are not so sure what you are doing while you install another ROM or if you change from one to another every other day, knowing that you can get recover your whole system to a certain point in time is very convenient. Basically, this so-called Nandroid backup can save you a lot of trouble in case you soft-brick your device. In just a few clicks, your whole system is restored and your device is fully functioning again, as if nothing ever happened. In this short guide, I’ll give you the simple steps so that you can make a backup yourself to be on the safe side. I’ll also show you how you can transfer your backup to your computer so that you don’t need to keep it on your device to save space. In order to be able to make a Nandroid backup, your Android device has to be rooted and needs to have a custom recovery tool. If your device isn’t rooted, don’t worry and check out our rooting how-to. 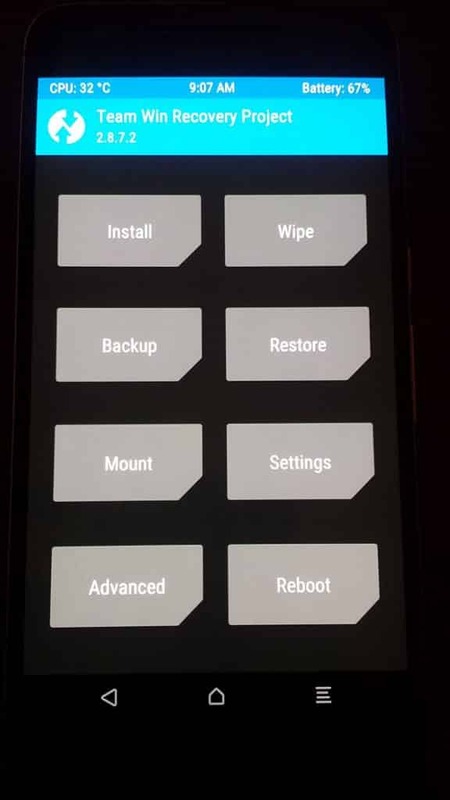 To get into your recovery, you first need to boot your device into the bootloader. With many devices, this can be done by turning it on holding down the volume-down and power button. However, since it depends on what device you have, here’s a complete list with all the different ways to boot into bootloader. Choose the partitions you want to back up. If you’re not sure what to choose, simply leave the default selections. Your device should now perform the backup process, once that’s done you can reboot your device. Now, depending on how many apps and files you installed, your backup might take away quite some space. To avoid that, you can transfer the whole Nandroid backup to your computer and delete it on your device. Should you ever need to restore your device, you only need to transfer it back. Connect your device to your computer and go to the TWRP folder on your device. In there, a folder containing your backup can be found. If you have several on your device, they will be separated so that you can choose only the folder you need. After you successfully copied the folder, you can delete the one on your device. The approach is the same as above. The location of CWM backups are usually located in /data/media/clockworkmod/backups. This means the data folder situated in the root folder, not the sdcard folder. People have been reporting that they were not able to “see” the backup files and, therefore, not able to copy them. One approach is to use your favorite Android file explorer app and copy the backup folder to another one such as your camera folder “DCIM”. Now, check this folder using your computer to see if the backup is visible. That’s an easy one as well. Simply boot into recovery, select “Backup” or “Backup and restore” in CWM and choose the restore option. Now you can choose the backup you want to use and restore your device. Once that’s finished, reboot your device and you’re done! I hope these steps help you making a Nandroid backup. If you have any questions, let me know in the comments!